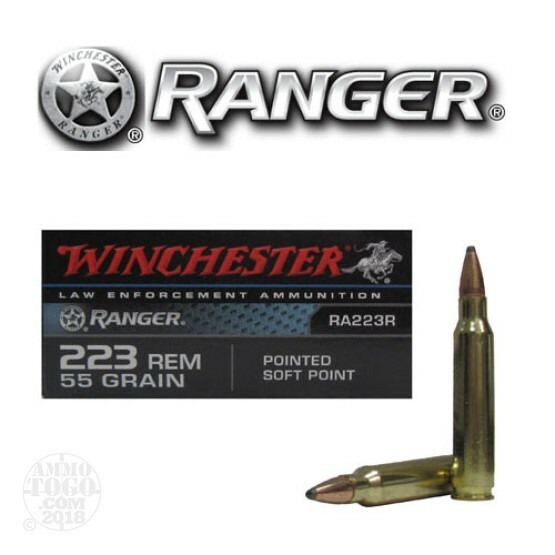 This is 223 Law Enforcement Winchester Ranger 55gr. PowerPoint Soft Point Ammo. The soft point bullet design delivers maximum energy on target. The notches around the jacket mouth improves upset and ensure uniform, rapid expansion. Packed in 20rd. boxes.